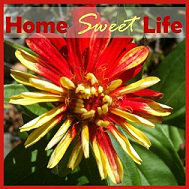 Home Sweet Life: BOGO sale at SchoolhouseTeachers ~ and sharks! How many of your kids love sharks? Books about sharks, tv shows about sharks, going to the aquarium to see sharks? Ours too! 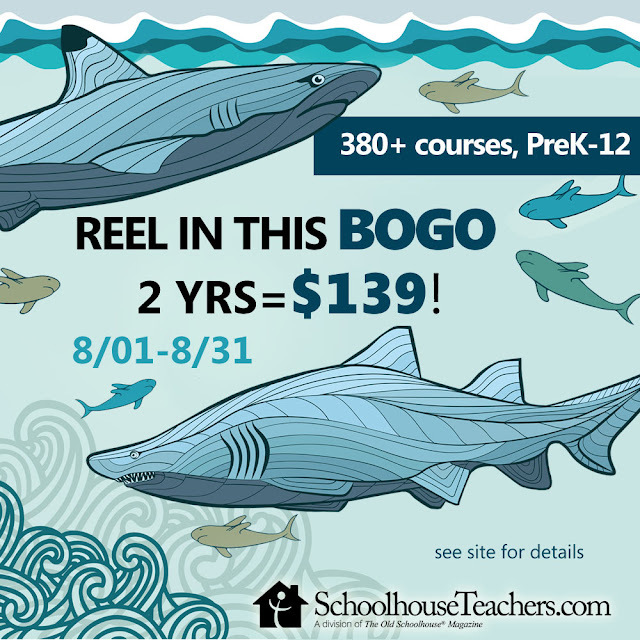 That's why I'm so happy to tell you about this super BOGO sale at SchoolhouseTeachers.com ~ because there is a ton of shark stuff on SchoolhouseTeachers.com just waiting for your family to explore! 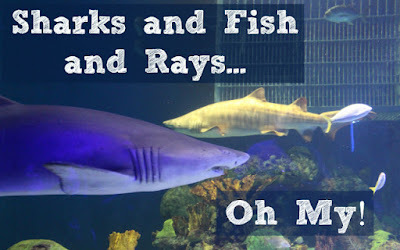 Our girls have always liked watching fish, sharks, and rays at the various aquariums we have visited. If your kids like all the "fishies" too, then take a look at the various course offered on SchoolhouseTeachers.com and find one that educates and entertains your family - and then go see some aquatic wildlife up close on your next field trip! The details of the sale are below - don't miss this awesome opportunity to get prepared for the next TWO school years at this great sale price. Why are those sharks at the aquarium always moving? Which shark can reach a swimming speed of 50 mph? Find the answers to these and many other questions in the “A World of Animals” course, just one of almost 400 classes available at SchoolhouseTeachers.com. With core and elective courses for all ages (even parents! ), there is something for everyone, and during the month of August, you can join SchoolhouseTeachers.com for $139/yr and receive a second full year for FREE! You will also receive a 2018 Summer Print issue of The Old Schoolhouse® Magazine, a free tote, access to 10 full libraries of World Book Online, recordkeeping tools, and so much more! Best of all, you lock in a $139/yr renewal rate (reg. $179/yr) for as long as you remain a member! No hidden fees or textbooks to purchase. 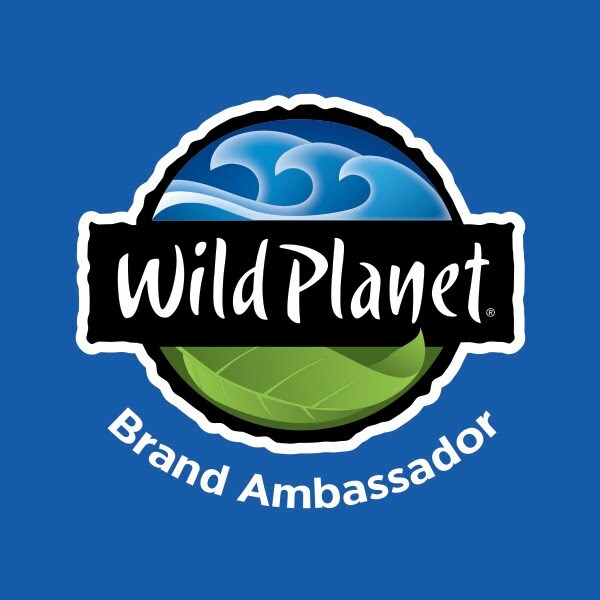 Valid for new members only. Don’t miss this great BOGO sale, only available through August 31, 2018!